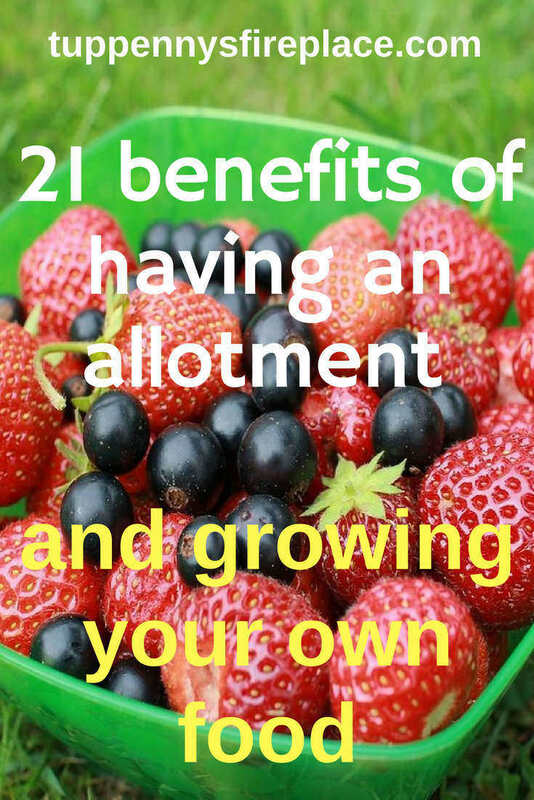 Do you have an allotment? Ever thought about all the benefits of growing your own? Whether you have a separate allotment or a vegetable patch in your garden there are numerous benefits to growing your own. Both fruit and vegetables can be grown depending on your location and time zone. I’ve watched programs where people in Alaska grow their own in a 12 week window! In the UK having an allotment is a very traditional thing dating back to the nineteenth century and earlier. Local councils in England are required by law to set aside land for allotments for their residents. Allotments come in all shapes and sizes. More so now as most local councils are splitting original plots as they become available to rent. The plot we rent is a half (or 5 rod) plot. This is approximately 120sq meters. Traditionally in our local area every allotment was a 10 rod plot. Only those who have been a tenant for a long time have 10 rods now. There is much unrest among long standing allotmenteers regarding the cost of renting their plot each year. As a relative newcomer I thought £40 for a half plot was a reasonable annual payment. Not so according to my allotment neighbors who have a few choice words to describe our local council! The cost aside I thought I knew what the benefits of having an allotment would be – cheap food! As it turns out there are many benefits some more obvious than others. Yes and no. The food you grow is not always cheaper lb for lb. Grow from seed, especially your own cultivated seed form last years harvest will be cheaper. If you buy young plants rather than grow from seed then maybe not. We use a mixture as sometimes our seed attempts fail. What your fruit and veg will be though is fantastic tasting in comparison to that which you can buy. Taste quality is far superior to anything you can buy. You’ll be picking it fresh and ripe and then eating it. Compared to supermarket fruit and veg that is often days/weeks old by the time you buy it. You can grow organically at a fraction of the price. On an allotment you will likely need to weed more often and dig in good manure or compost. 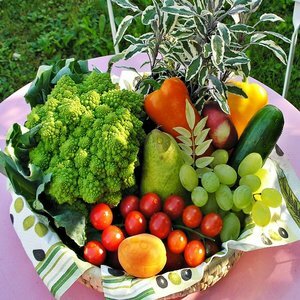 Your entire harvest can be organic compared to some supermarkets where the organic produce can be somewhat limited. You will learn all about growing food through practice, reading and chatting with allotment neighbors. What works with one soil won’t work with another. Reading about growing your own is just not the same as doing. Your allotment neighbors will be full of useful titbits based on their combined knowledge of both growing their own and the soil and weather conditions of your allotments – priceless. These days supermarkets have strawberries, asparagus and broccoli all year round. Many of us have lost the knowledge of what veg is grown in what season. You will no doubt try to grow some veg slightly earlier or later and the plants will let you know whether that was the right thing to do. Hint: green beans on the south coast in April when the frosts haven’t finished do not work! Having tried to beat the seasons and failed you will learn about eating according to the seasons. Strawberries in June? Yep, that’ll be a glut. Courgettes/zucchini in July/August/September? That will be an ongoing glut!! Which leads nicely on to the next benefit. Having grown all your fantastic fruit and veg you then need to use it or preserve it somehow. Many veg cannot be frozen as is (e.g. courgettes/zucchini) so you will need to find ways of using them in various recipes and seek out preserving opportunities. Courgettes are a classic glut vegetable, we always end up with too many courgette plants. We then resort to getting creative to use them all up as we can’t bear to waste them. You will gain allotment neighbors who will randomly give you a cabbage or a punnet of raspberries. Who will give you advice and encouragement. Our neighbors stop for a cuppa together and we have used their rotivator. In return we have mowed the shared paths and watered their plants when on holiday. You will enjoy battling against the weather – honest! This may be trying to protect your young plants or planting out a week early because you want to get a head start. You will dare it to rain just as you are digging over a bed and enjoy the sunshine warming your soil. Out on the allotment you will breathe in the freshest of air in your locality. Stopping to smell the freshly dug soil and the new plants is wonderful. Digging beds is hard work! You use a multitude of muscles. Leg muscles, arm, shoulder and back. You’ll know you’ve used them because they’ll tell you all about it later in the evening. Working an allotment provides plenty of opportunities to exercise whether gently or more cardio type. Mobile phones are redundant on the allotment. They are left in the car as you potter about your planting. Somehow you don’t feel the need to check your phone every 5 minutes. You are too busy planting your precious new seedlings or digging up the blasted bind weed! Working an allotment with your partner is a great way to spend some quality time together. After an hours gentle exercise there is nothing better than sitting down on a camping stool with a cup of tea and chatting about what you’re going to sow next. If you have young children, you will know they love nothing more than to get stuck into a patch of dirt. An allotment gives them the opportunity to not only dig in dirt but to also explore a bigger patch of dirt. To have their own little growing patch to water and be responsible for. Having an allotment means the fruit and veg you eat will have no air miles and possibly only a couple of road miles from harvest to table. Compared to apples form South Africa and asparagus from Peru, your harvest is oozing eco friendliness. In addition it is likely to have been grown naturally rather than in a high tech way which would have involved large machinery and plastic wrapping. There is an unwritten law that part of having an allotment is to re-use endlessly an array of different items you find discarded around your home and garden. In the 1950’s it was milk bottle tops. Now you’ll see mini pro-biotic bottles atop raspberry canes. Old tires used as planters and carpet as a weed suppressant. There is something extremely satisfying in tucking into a meal that contains vegetables you have sown, grown, harvested and cooked yourself. Being self sufficient you do not need to grocery shop as often and can choose what vegetables you fancy for dinner later. And pick them right then! Managing an allotment is not without its challenges. But these are challenges you will relish having overcome. You will face different challenges according to your locality. These are challenges that you can tackle every week and break them down into manageable chunks. Getting rid of the bindweed from our allotment was extremely satisfying. It took an entire year of weeding, spraying, more weeding and cursing to do it. When your cooking skills and freezer can no longer keep up with your harvest you’ll learn the joys of preserving and canning. Making preserves, jams, chutneys and pickles is a great way to use your harvest. 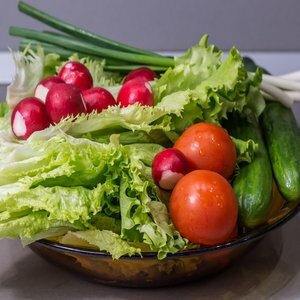 By preserving you will be able to use your fruit and vegetables long after winter has arrived, lasting you through to the start of next season. Or longer. Preserving can be time consuming but ultimately it is extremely satisfying to create another food item for your family’s store cupboard. Your harvest can form part of your gift giving. Your location, the season and the celebration you are gifting for you will dictate what form your gifting could be. It could be a basket of freshly picked fruit in late summer or a trio of home-made preserves at Christmas. 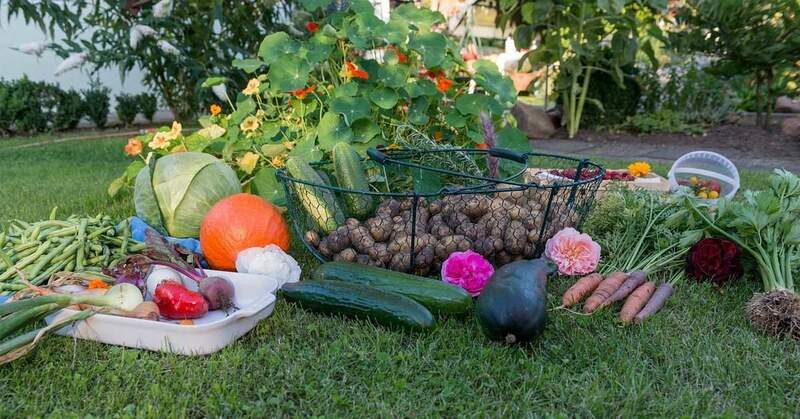 It’s not a perfect world though folks so why not read my post the downsides to having an allotment and growing your own food. 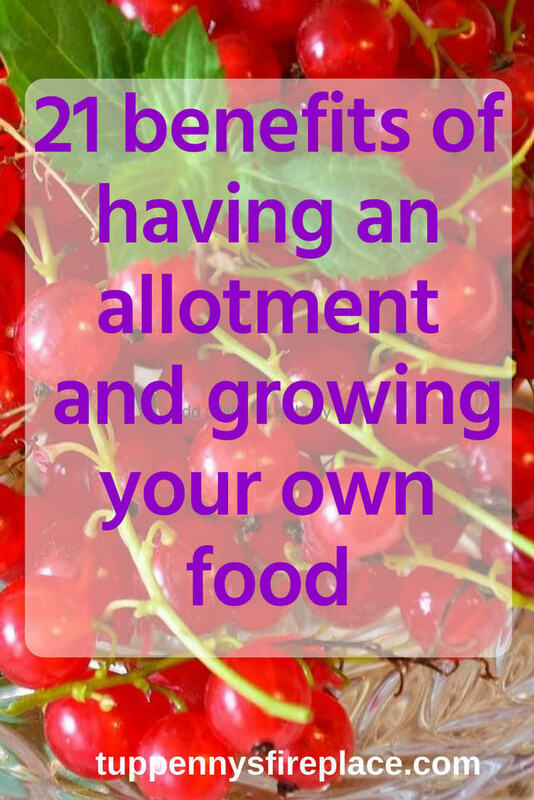 Can you think of other benefits to having your own allotment? Do you grow your own? You will dare it to rain << haha… one of my aunts like to dare traffic lights to turn yellows as she's rushing through an intersection. so an allotment is that common that people actually voice opinions over the size and cost? curious. Local councils are required by central government to provide allotments for their constituents. Often there aren’t enough to go round hence plots being divided and long waiting lists. By the end of WW2 there were 1.3 million allotments, this is down to 1/4 million or so now. Apparently our council has one of the highest prices per sqm in the country, hence the moaning. I know exactly what you mean about lunch and crawly things. This is why it is my task to wash, wash and wash again all food we pick. Mr2p either cannot see them or can’t hack the detail required! Pasta sauce. Sauté onions until soft. Add tomatoes, as many as you want. Add chopped courgettes ( I peel the skin in alternate strips, makes it striped, but just my preference . Leave it all on or peel completely. Add garlic if liked. Cook until all veg cooked through , then whizz in a proc ss or or with a stick processor. Can be frozen. Kids don’t realise there are green veg in their pasta sauce. My shrooms can also be added. Served with pasta topped with goats cheese is delicious. Now that sounds like a yummy recipe Holly, thanks so much for sharing. I might even not blitz it as I don’t usually cater for youngsters, that way I can admire the courgette stripes! Your post is point on! We just got our garden planted. I love to pick our own tomatoes, beans, cucumbers, broccoli, blueberries, strawberries, and raspberries. I have discovered I can grow spinach all winter. We have two pear trees but have only gotten three pears in two years so not everything works to plan. We haven’t grown spinach during the winter but found that chard keeps going, great in stir frys. We have trees on the allotment that we inherited. The plun tree is fabulous and we have many pounds of plums every year. But there must be something about pear trees as ours is poor too. Last year was the best in the last 5 and we had 6 pears. I’m not so worried as don’t really like pears anyway! I’d be really unhappy if the plum tree started failing thats for sure.